Todd Anderson could have easily retired at Sea Island Resort, where he spent nearly 14 years as director of instruction at the Sea Island Golf Performance Center. It’s one of the best jobs in golf. Anderson, one of golf’s top teachers, wouldn’t argue that point, but even for someone of his credentials, there always is the next challenge. In this case, the challenge was 85 miles south of Sea Island in Ponte Vedra Beach, Fla., home of the TPC Sawgrass, this week’s Players Championship, and PGA Tour headquarters. The Tour wanted a performance center of its own – and it wanted Anderson. This past fall, it got Anderson; following the Players Championship it will get the PGA Tour Performance Center at TPC Sawgrass that features a two-story, 7,680 square-foot headquarters building with four hitting bays, a putting studio and fitness center. Outside there is a practice range as well as bunkers and a putting green. The PGA Tour Performance is directly across from the TPC Sawgrass’s ornate clubhouse, where Anderson sat and discussed his decision to move and the opportunity to paint on a clean palate. “It’s just a different platform,’’ Anderson said of the PGA Tour Performance Center. 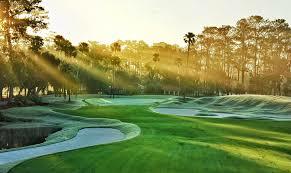 “I felt like I had done pretty much everything we could do at Sea Island. We kind of maxed out on revenue and maxed out on exposure. It was keep doing what I was doing or find a new challenge. In the past, the Tour used a third party to provide lessons and schools with its name, but it really wasn’t something completely under its control. 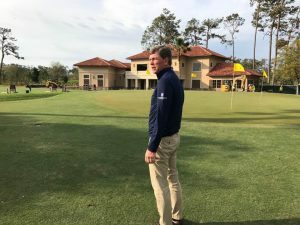 The PGA Tour Performance Center at TPC Sawgrass combines its vision and goals for teaching with Anderson’s to give it what likely will be one of the game’s more important teaching destinations for everyone from Tour players to average players. “Really bring the instruction up to the top level,’’ Anderson said. “When people start talking about instruction, we want to at least be in the conversation.